I made these last week …. What do U think?? 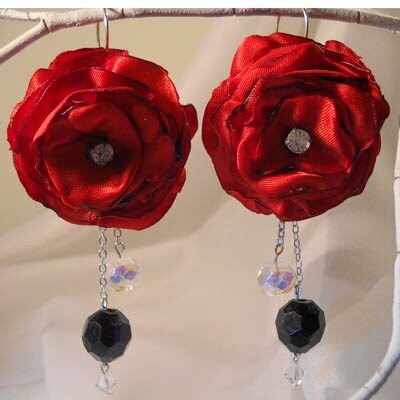 I can imagine the satin flowers sitting pretty on a black purse like this 1..
or maybe in pretty earrings like this?? « Lil P’s school activities for this month..
Wow – looks really nice and elegant. 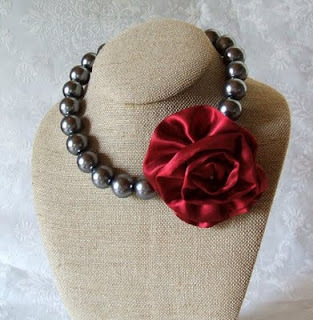 Especially love the pearls necklace idea…I’ve never seen that before. You could even stick a safety pin behind one of them and wear it as a broch or saree pin. Cool idea…gotta try it sometime. 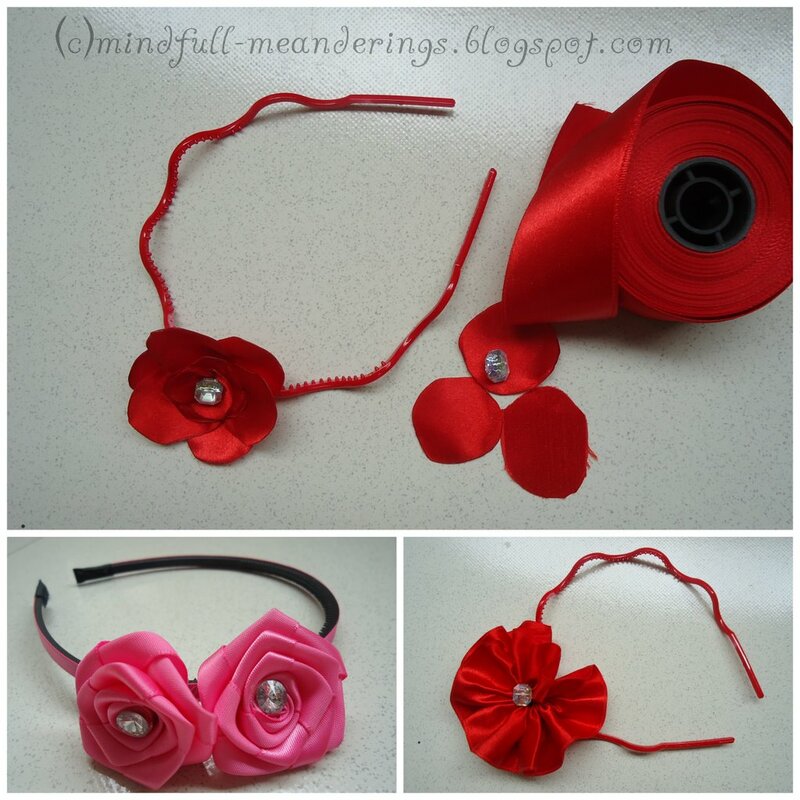 Could you post up a tutorial on how to make different flowers btw :-)? @Sandhya: I should be thanking u .. U took time off to show me the shop. Lets go there again. wow beautiful! Is it for the little girl? lovely- can i order some!! @art: had made them for anush.. Will make some more before we meet next time.. unfortunately I have only red and pink satin. I hope thats ok.
Looks awesome Shruti! Guess you can slide them through hairpins too? @Esther: had made it for my daughter and a friend’s daughter. @Divs: 🙂 Yup thats the idea. Will do it soon. @Vidya: Ya. The silk blue and green gold ones look amazing pinned on a saree. @Priya: Thank u .. It must have been such a shock to u reading abt IHM’s daughter. Its very unfair. Gorgeous and very versatile. Especially like the uuparwala red (remember ‘merawala cream’ in the paint advertisement?). fab. can i join the craft session?! Love the last 1.. the beads & a rose. So elegant!! loved ur art and ur blog! @AS 🙂 Thank you and Welcome here..